Who should get the new shingles vaccine? On the heels of approval of a better vaccine for the painful condition shingles, adults over 50 should plan to roll up their sleeves -- again. The new vaccine, Shingrix, will likely be recommended even for those already inoculated with an older vaccine. An advisory panel of the U.S. Centers for Disease Control and Prevention recommended Wednesday that all adults 50 and older receive the new two-shot vaccine, just days after the U.S. Food and Drug Administration announced its approval of Shingrix. Shingrix, manufactured by GlaxoSmithKline, is more than 90 percent effective in preventing shingles, a painful skin disease that afflicts about one of every three people in the United States during their lifetime. If the CDC adopts the panel's recommendation, Shingrix will supplant the only other shingles vaccine available, the single-dose Merck product Zostavax. "The new shingles vaccine represents a major step forward," said Dr. Amesh Adalja, a senior associate with the Johns Hopkins Center for Health Security in Baltimore. "The efficacy of this vaccine is significantly higher than Zostavax, and those vaccinated with Zostavax should benefit from revaccination with Shingrix." Shingles is a painful itching rash caused by the varicella zoster virus, the same bug behind chickenpox. The virus lies dormant in the nerve tissue of people who've had chickenpox, and years later can reactivate as shingles. Anyone who's had chickenpox can develop shingles, but about half of all cases occur in people 60 and older, according to the CDC. Shingrix is 97 percent effective in preventing shingles in people 50 to 69 years old, and 91 percent effective in those 70 and older, according to a briefing provided to the CDC's Advisory Committee on Immunization Practices prior to its decision Wednesday. By comparison, Zostavax is 70 percent effective in your 50s; 64 percent effective in your 60s; 41 percent effective in your 70s; and 18 percent effective in your 80s, the briefing states. Shingrix is also better than Zostavax in preventing nerve pain that continues after a shingles rash has cleared -- about 90 percent effective versus 65 percent effective, the briefing stated. "The shingle attack itself is severe and painful to most people, and then there's the possibility that the skin lesions clear up but nerve pain continues," said Dr. Len Horovitz, a pulmonologist at Lenox Hill Hospital in New York City. "That can be really chronic, unremitting and difficult to treat." Based on these results, the advisory committee voted 8 to 7 to recommend Shingrix for people 50 and older. It also said people previously inoculated with Zostavax should come back to get the new vaccine. Dr. Talia Swartz is an assistant professor of infectious diseases with the Icahn School of Medicine at Mount Sinai in New York City. Swartz said, "The reason for the close vote is that while Shingrix is much more effective, it is also associated with more reactions. While they are not serious reactions, they may be temporarily inconvenient, including fever and muscle pain." The advisory committee vote closely followed the FDA approval of Shingrix on Monday. It's not clear at this point whether people who've received Zostavax should come back immediately for Shingrix or wait. The point did not come up during the panel's discussion, Glaxo spokesman Sean Clements said. The pharmaceutical company expects the CDC to clarify the timing of re-vaccination with Shingrix if it supports the advisory committee recommendation, Clements said. Horovitz said he also hopes for clarification on whether someone who has received Zostavax will only need a single dose of Shingrix, or the full two-dose regimen. Zostavax patients who wait a bit likely will not have to pay as much for their Shingrix vaccination, Swartz said. Vaccine maker GSK estimates that Shingrix costs about $280 for two doses, according to The New York Times. "Shingrix is more expensive and not yet covered by insurance," Swartz said. "Pending official endorsement from the Centers for Disease Control, insurance companies will likely begin covering Shingrix." 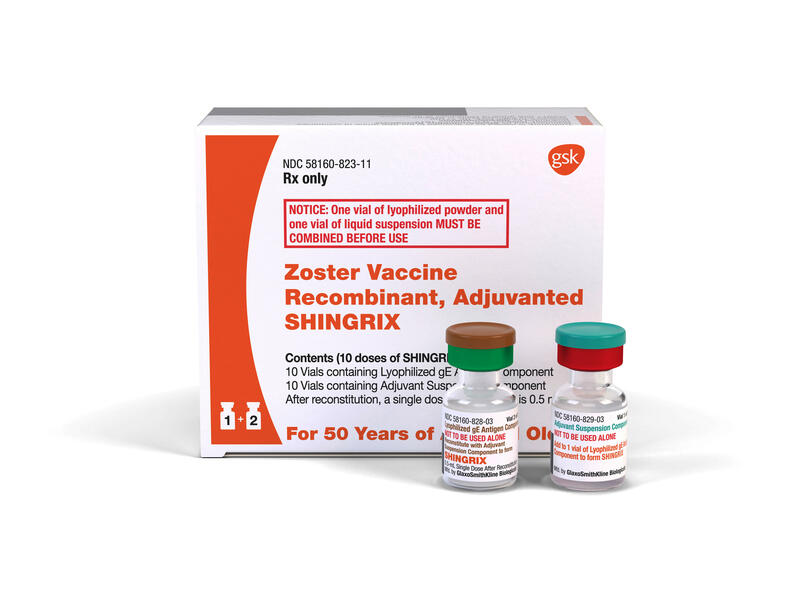 Shingrix is a non-live herpes zoster vaccine that contains a booster intended to generate a strong and long-lasting immune response. That booster and the fact that the vaccine is a two-dose series are likely why it has superior protection, Adalja said.